Though many people cannot see physical signs of your anxiety, stress, or depression, you know that dealing with these types of afflictions can have serious negative impacts on your life. If you are dealing with anxiety or depression or are having a difficult time managing stress levels in your life, you need to know that help is available. You do not have to feel alone in your fight and should be aware of the many different treatment options available to you. Here is more information on anxiety, stress, and depression treatments in San Francisco. Anxiety can be the result of a number of different underlying conditions including post-traumatic stress disorder, obsessive-compulsive disorder, or generalized anxiety disorder. It’s characterized by fear, chronic worry, and an inability to effectively manage relationships or situations in a healthy manner. While mild anxiety can usually be dealt with by some simple relaxation or breathing techniques, more severe anxiety may need professional treatment. 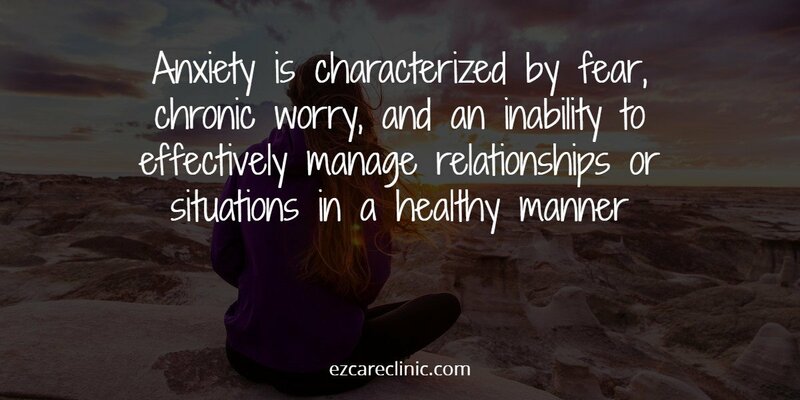 In many cases, anxiety can be greatly reduced by talking with a counselor or therapist or joining a support group with others who suffer from a similar condition. This type of anxiety treatment can provide life skills management, relaxation techniques, meditation training, or cognitive behavioral therapy. In some extreme cases, selective serotonin reuptake inhibitor (SSRI) medications such as Zoloft, Celexa, or Lexapro may be prescribed. Some stress is normal to experience. However, extreme stress that affects your daily life and moods is not something you should consider normal and can have very negative consequences on your health. If you do not have effective stress management techniques or you have another condition such as anxiety or depression that compromises your ability to effectively manage stress, you may need some assistance from a professional. When you meet with a stress management specialist, you can learn calming exercises like meditation, deep breathing, and yoga. You can also learn the underlying causes of your stress and how to make changes to your lifestyle to reduce the amount of stress you experience. If you have an underlying mood disorder that is affecting your stress levels, a counselor may be able to help you with cognitive behavioral therapy sessions, group therapy, or prescription medications. 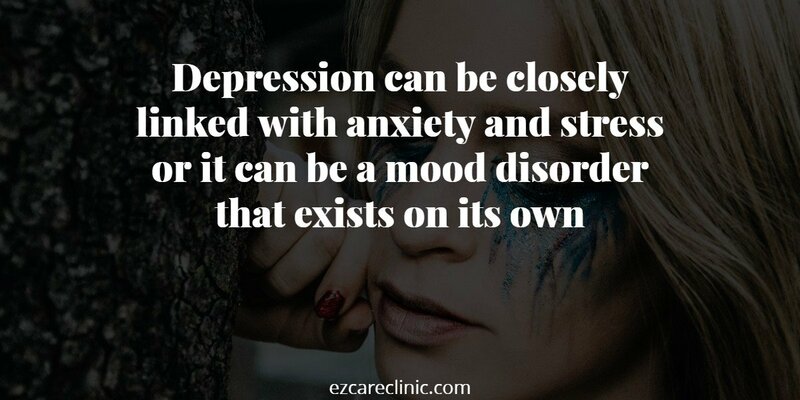 Depression can be closely linked with anxiety and stress or it can be a mood disorder that exists on its own. Those with clinical depression may find it difficult to get out of bed in the morning or handle the challenges of daily life. Even mild depression can have an adverse effect on an individual’s enjoyment of life and may have a negative impact on their close relationships and career. Those who suffer from depression may feel that they will be stigmatized if they seek help and avoid getting the professional assistance they need to feel better. It’s imperative that those who are suffering from depression symptoms such as insomnia, extreme fatigue, trouble focusing, loss of interest in enjoyable activities, anger, or isolation to seek out treatment. Depending on the cause of the depression and the symptoms, treatments for the mood disorder can include counseling, group therapy, magnetic stimulation of certain areas of the brain, or prescription medications. Many times, several treatment techniques are used together to treat an individual’s symptoms, especially if depression is exacerbated by anxiety or other conditions. If you experience anxiety, stress, or depression symptoms that are affecting your daily life, it’s important that you seek out professional and caring assistance. Many individuals find that walk-in clinics are beneficial to get immediate help from a professional. With walk-in clinics, you do not have to wait weeks to see a medical professional and can start to get answers and assistance right away. When choosing a medical clinic in the San Francisco area, you should concentrate on one that has a professional staff with experience in treating mood disorders and providing stress management techniques. Thoroughly look through their website to find out more about their staff and their methods of treatment. An integrative clinic that offers a host of different treatment options is a good choice so that treatment will be tailored to your unique needs. You should also look at their operating hours. A clinic that stays open late will give you peace of mind that you can seek out medical assistance on your schedule and that you won’t have to wait until the next business day to get help. If you live in San Francisco and experience anxiety, depression, or chronic stress that is affecting your daily life, you don’t need to deal with the problem on your own. There are a number of treatment options available to you so you can start feeling better and get back to enjoying life as soon as possible. When choosing a walk-clinic in the San Francisco area, remember to look for professional staff, walk-in options, and hours of operation to find the best fit for you. 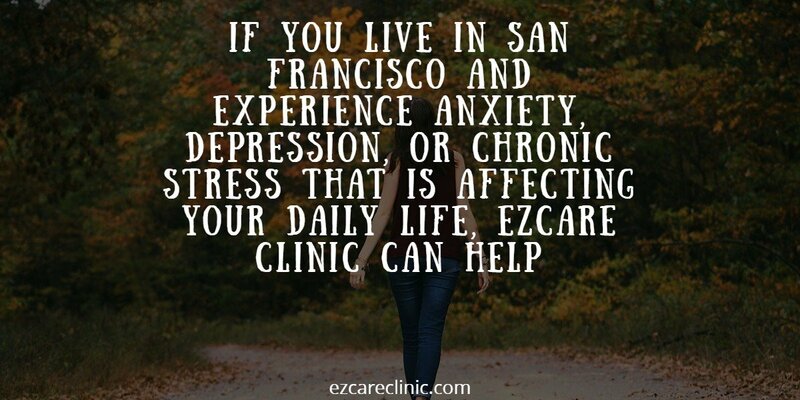 If you’d like to schedule an appointment at EZCare Clinic’s San Francisco office, please give us a call. We’re open 11 am to 7 pm seven days a week.